Fun Run Moved to Monday! You are here: Home » Blog » Fun Run Moved to Monday! Parents, thank you all so much for supporting this year’s CDS Fun Run & Color Run! 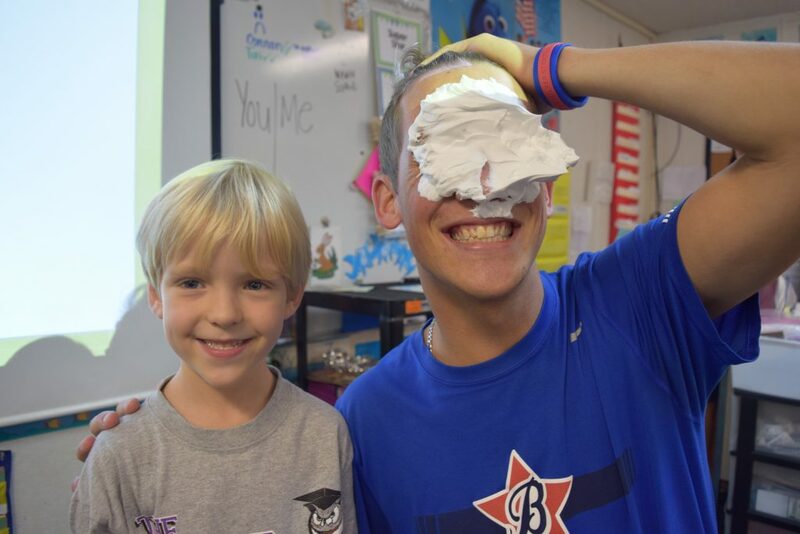 Our students are having a great time learning about character and pieing the Boosterathon team members! Due to the weather forecast, we have decided to change the Fun Run & Color Run from Friday to Monday, December 11th. If you haven’t registered your student yet, you can do so through this weekend on funrun.com by searching for our school or using our school’s registration code: 596-454 for the Fun Run and 153-896 for the Color Run. Remember, we are working together to help provide new Chromebooks for the STUDENTS of Charter Day School! As of today, we are only at 25% of our financial goal. We need your help to bring technology to our kids! Thank you for those who have already supported the students of Charter Day School!